The Director of the United Nations Environment Program indeed believes that the G8 meeting is a seriously bad omen for the Copenhagen meeting in 2009. The future of the Kyoto Protocol will be talked about at that moment. Our governments really have to move forward. Quickly ! As the G8 Summit wrapped up in Japan, Achim Steiner, the Executive Director of the United Nations Environment Programme, said the world’s richest countries had shown insufficient leadership on climate change. “We are under pressure to act. We have no time left to waste,” said Mr Steiner. 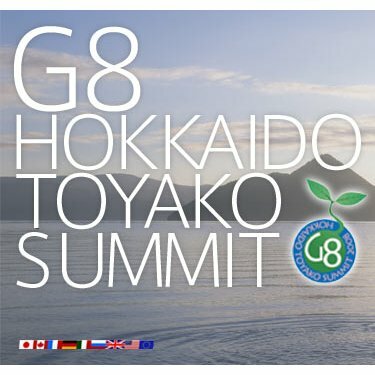 ” However I think the G8 leaders missed an opportunity to provide the kind of signal that would accelerate the international negotiation process,” he added. Mr Steiner noted that the G8 countries’ agreement to reduce carbon emissions by at least 50 per cent by 2050 is a positive outcome of the summit. “We are beyond the rhetoric of climate change. We must now put numbers on the table. We must also give developing nations the clear conviction that industrialized nations are taking their responsibilities seriously,” he said. Mr Steiner noted that a number of countries including Germany, Norway and the UK as well as South Africa and Indonesia are now committing to targets. “We will continue to be stuck until all industrialized nations commit to firm targets – ones to be met by 2020 not in 42 years time,” he said. The G8 countries met developping countries during the last day. This rich countries aren’t really willing to cut their own emissions, why poor developing nations should ? We seriously are lacking leadership. I will write something on that very topic as well as an article on the thread global warming represents to the host of this event, Japan. So for this and for much more, stay tuned !